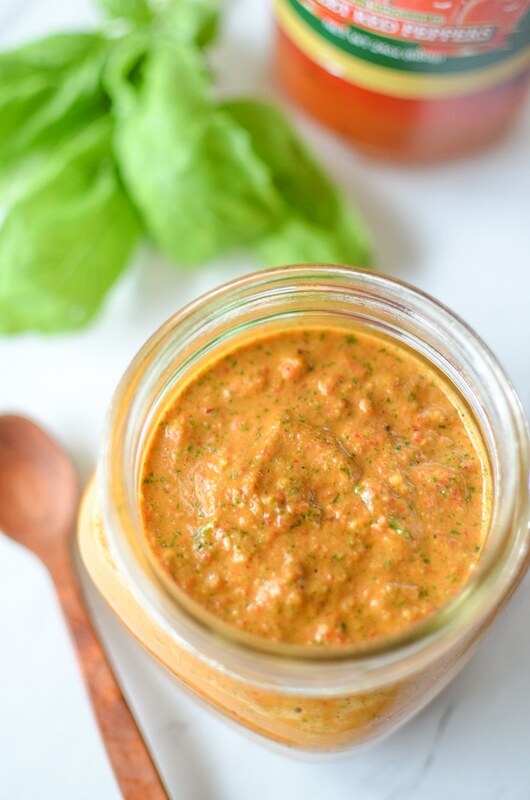 This dairy free roasted red pepper pesto is a lightened up version of my favorite spicy roasted red pepper pesto, but it’s free from heavy cream and cheese. Anyone who knows me knows how much I love pesto. I have at least 8 pesto recipes on this site, and I’m always testing out new ones. 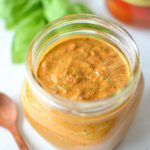 But, one of my all time favorites is my spicy roasted red pepper pesto. It’s a really old recipe, so please ignore all the photos you see, but it’s an amazing recipe. 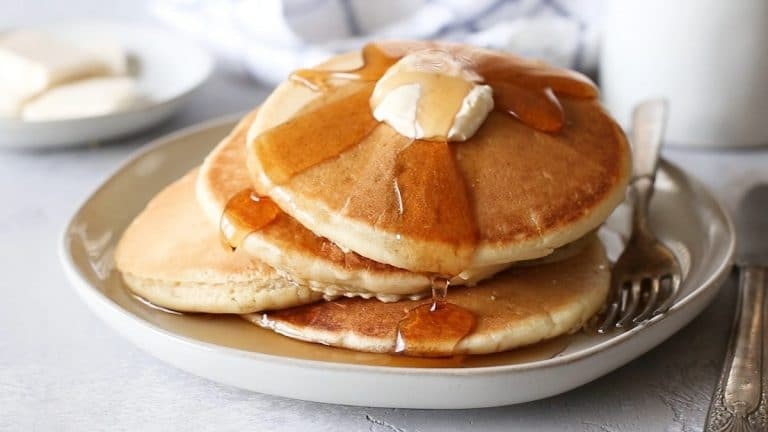 Since we gave up dairy, I haven’t attempted to make it, under the assumption that it couldn’t possible taste good without cheese or heavy cream. But, I was wrong. It’s actually just as good without the cream. 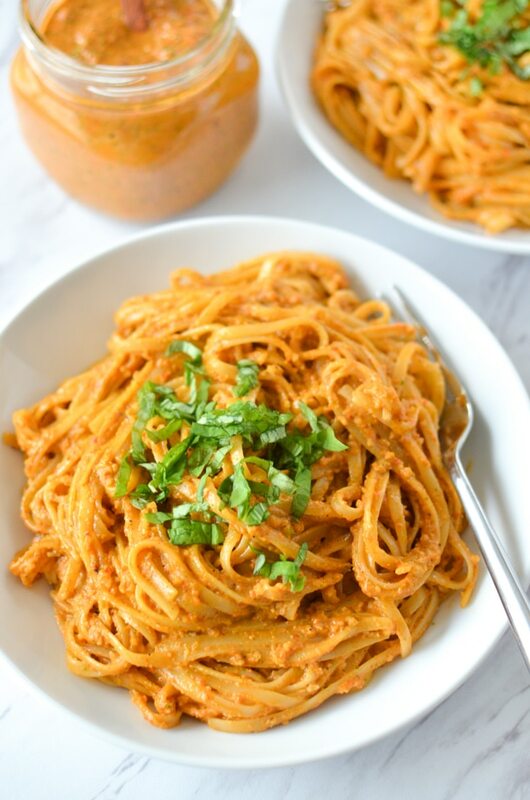 It took a few small tweaks, but I made this dairy free roasted red pepper pesto work. Replacing the cheese was the hard part because it provides a decent amount of umami and saltiness, but by increasing the amount of nuts and upping the salt by just a little fixes all that. You could swap the extra nuts (about 2 1/2 tablespoons) with nutritional yeast if you have it, but we didn’t have any when I made this. 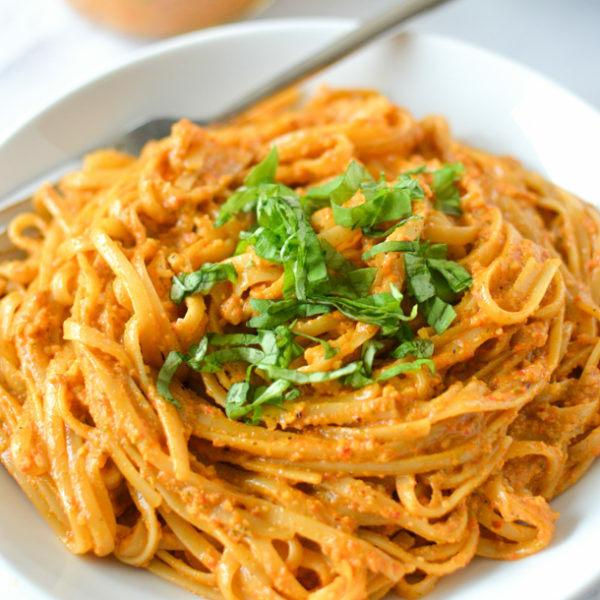 And, it turns out that the cream didn’t do much more than loosen the sauce and provide a bit of creamy texture, and you can accomplish that by saving a bit of the starchy pasta water before you drain the pasta. Don’t buy pickled peppers. I can’t tell you how many times I have made this mistake because I didn’t read the package. I think I have a full peck of pickled peppers in my pantry now. Just call me Peter Piper. This recipe makes enough to toss two pounds of pasta. You can freeze the remainder, or you can keep it for up to two weeks in the fridge. 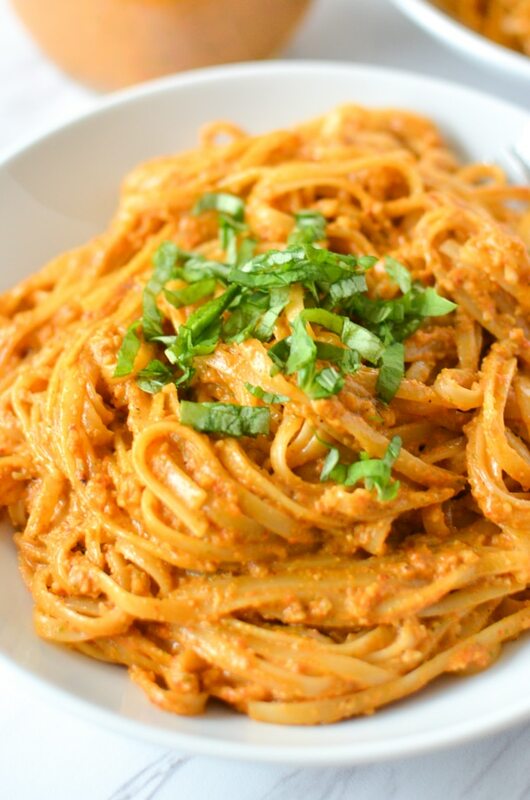 When serving with pasta, stir in the about 1/4 cup reserved pasta water when tossing the pesto and pasta together.